Kenro Izu is a distinguished photographer who has worked all over the world. He was born in Osaka, Japan and studied his craft at Nihon University in Tokyo. His career began in the early 70s when moved to New York City to work in commercial photography. In the 80s, he traveled the world and captured sacred sites across Asia. One of his commissions sent him to Cambodia where he witnessed numerous children falling ill and losing their lives to landmines, accidents and preventable diseases, such as malnutrition, malaria, pneumonia and diarrhea. 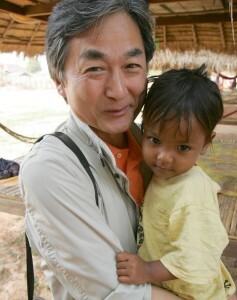 “In a pediatric bed, I saw a girl accompanied by her father. The father could not afford $2.00 for her treatment. The girl was not given any pills or treatment and died in front of my eyes,” recalls Mr. Izu. He was disturbed by what he saw and wanted to bring attention to the crisis by establishing better healthcare to the Southeast Asian region. In 1996 he established Friends Without A Border, a non-profit organization with a mission to support high-quality and compassionate health care to children at no cost, through community health education programs and the training of local care providers. It took the organization two years of planning and fundraising before construction and training could begin, but, their diligent effort paid off. In 1999 Friends Without A Border opened it’s first hospital, Angkor Hospital for Children in Siem Reap, Cambodia. 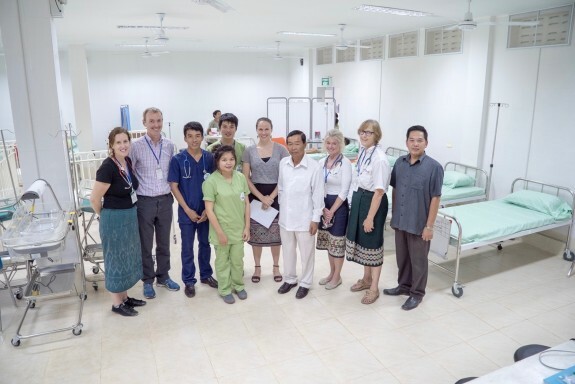 Since then, the hospital has treated over 1.6 million children, trained thousands of medical professionals and was recognized by the Cambodian Health Minister as “one of only three essential healthcare institutions” in Cambodia. 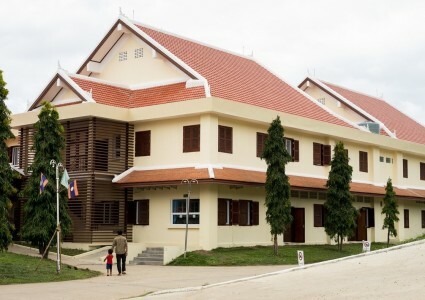 Angkor Hospital for Children became a locally-sustainable hospital in January 2013, managed by the same doctors and nurses that Friends Without A Border trained for over 10 years. Having successfully completed their first mission, Friends Without A Border wanted to go further by opening the first full-service pediatric hospital in northern Laos. Out of 224 countries in the world, Laos ranks #32 for infant mortality rate, which is mainly attributed to the lack of adequate access to medical care. After more fundraising and planning, on February 11, 2015, the Lao Friends Hospital for Children opened in Luang Prabang, Laos. Functioning as the de-facto pediatric wing of the Luang Prabang Provincial Hospital, the hospital has treated over 12,000 children in one year. Mr. Izu and his team are working to expand their medical outreach education program, especially to rural areas, while emphasizing a more compassionate culture, when treating patients. “After we examine their skills, they still need to improve to a higher level to give better care for Laotian children because our aim is high; very ambitious. The Lao standards are currently failing many children. Our aim is to reduce the mortality rates,” explains Mr. Izu. 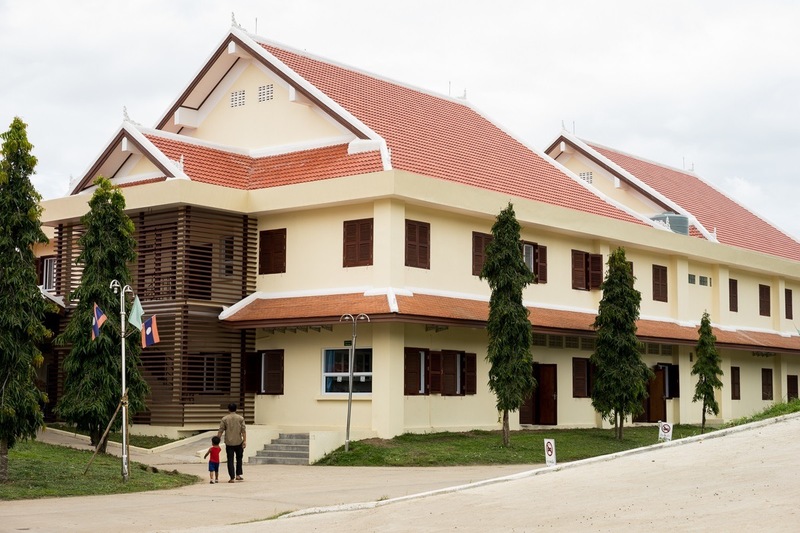 The goal is for Lao Friends Hospital for Children to be a teaching hospital, which will continue to improve local medical care through multiple generations, and create a healthy pipeline of medical care talent for the community. But why Luang Prabang? 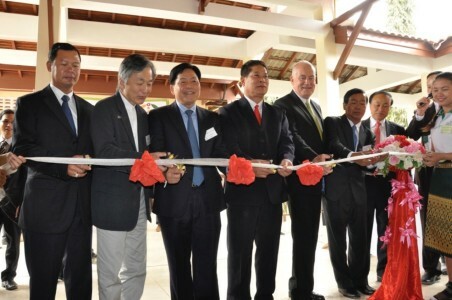 According to Mr. Izu, “a two-year study found that Luang Prabang has the need; meets requirements for accessibility by foreign staffers, tourists, donors and the concentration of population to help maximize its impacts.” He says the opening of a surgical ward is planned for summer 2016.